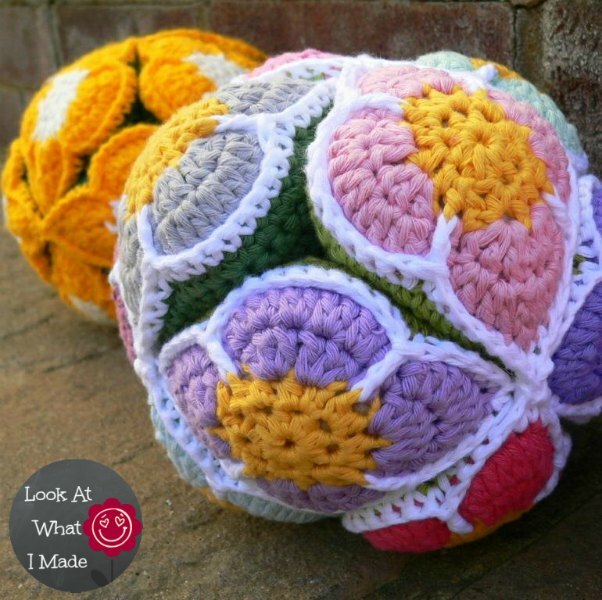 Update 18/11/2013: The updated pattern for the Flower Amish Puzzle Ball can now be found HERE. The pattern includes plenty of clear photos and is written in US crochet terminology. Yet another pattern from my procrastinating pen! 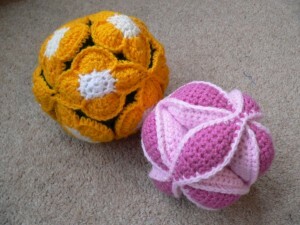 This time a Crochet Flower Amish Puzzle Ball that comes apart into segments. Lol, I have slowed waaaay down. 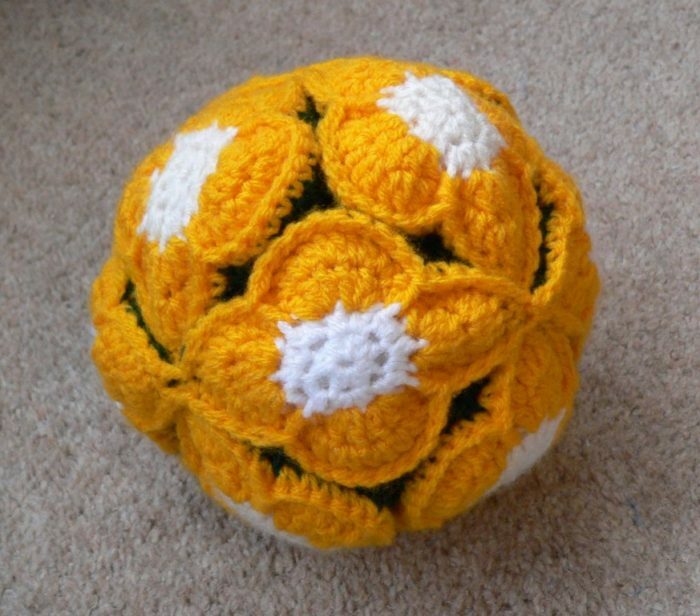 Ohhh, I just finished several of the crochet amish puzzle balls and then I find this one!! I love it. Oh dear I am captivated by the cute flower ball and I think my niece would LOVE one but it seems the link you have to the patter is dead it popped up a 404 error. If anyone still has it and is willing to share I would be greatfull! Thank you for your comment and for letting me know that the link was broken. I have now fixed it! Please send me a photo when you’re done so that I can feature it. I am hooked on making these balls. And I really like the ability to take them apart for washing and drying which makes them kid friendly. I added ridges to the edges to look like dragon tails. Thanks for being lazy :)! Love this! I’m not clever enough to design my own patterns, but thankfully I do have the skill to make the patterns of others.